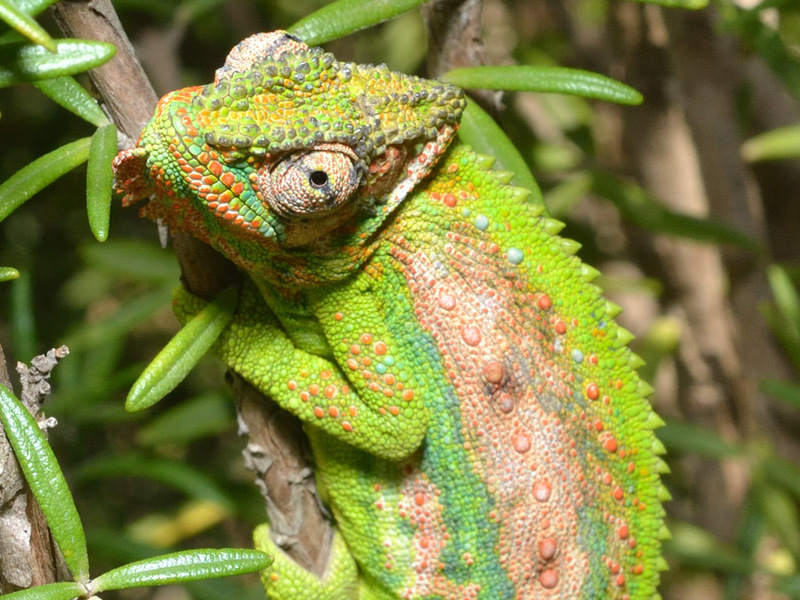 I welcome these wonderful creatures in my garden – chameleons. I have not seen them around of late. Actually, I have only seen two in my Dad’s garden. So, how they came to live in my garden is a funny story. There were two young boys running around the neighbourhood ‘selling’ them – I guess for pocket money. Shame, so we were their best ‘customers’. We paid R2.00 for small ones and R5.00 for big ones. We eventually had to tell them nicely that we have enough chameleons, because they were at our front gate every 5 minutes! 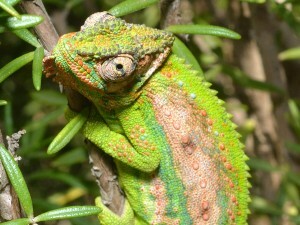 We eventually stopped at 25 chameleons! Most of them have moved on or were prey for the butcher bird. We still have 5 or 6 in the potato plant (which is now a tree!) and the rosemary bush. And onle of them had babies! The baby chameleon pic was taken by my wonderful hubby – Hannes, the professional photographer. 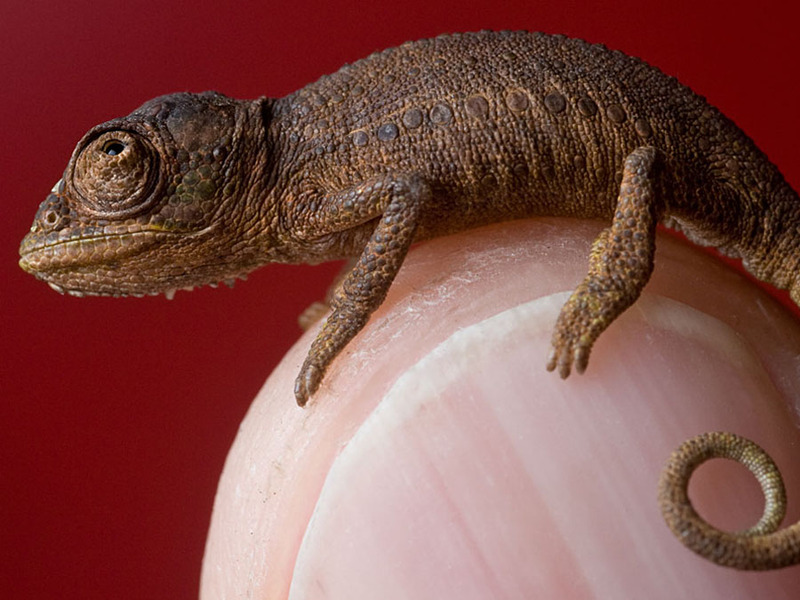 Do you know what type of chameleon the picture on the right is? I think Diana is right – we’ve destroyed their habitat here in Claremont. Out in Philadelphia things are more natural so they still have lots of them. I’m suprised you don’t have them out in Porterville though Diana? I don’t think I have any … I’ve never seen one. Does anyone have advice on how to attract thm yo one’s garden? It was a lucky shot of the Chameleon in the rosemary bush. I was about to give up and I got this picture. What a joy, because it is such a good photograph – if I must say so myself! But you have to have an enormous amount of patience when you are doing nature photography. As I said it took all day and lots of duds! Oh, I’ll keep my eyes peeled for the Chameleon boys! PS: Your photographs are spectacular!